Do You Have an HVAC-to-Air-Duct Mismatch? How to Fix It Fast! With growing concerns about the toxification of our planet and its dwindling natural resources, we feel tremendous pressure on a daily basis to provide our residential and commercial clients with high-efficiency solutions that can maximize results with minimal investment of energy. Where we often run into roadblocks is when we are working with a client to install a new, high-efficiency air conditioner or heating system in an older home or workplace. Many times, we find that the existing air duct system simply isn’t going to be up to the challenge of handling airflow for a set of new high-efficiency HVAC components! Not surprisingly, this news does not delight our clients. They were looking forward to enjoying their new high-efficiency system by nightfall, and instead they have to stop and deal with a set of outdated, often leaky or misrouted air ducts. Needless to say, it is better to find out about this issue before your installation day comes. In this post, learn what you need to know about your existing air ducts before making the leap to a new, high-efficiency HVAC system! P.S. Be sure to read all the way to the end of this post to find out how YOU can send a deserving child to camp this summer—on us! Are Your Air Ducts Headed for a High-Efficiency HVAC Disaster? 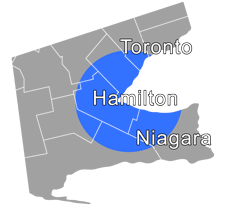 National Resources Canada cautions HVAC contractors against installing cooling and heating equipment that will overtax an existing duct system. Today’s energy-efficient furnace or air conditioner appliance must move up to 40 percent more airflow through the ducts for it to earn its stripes as “high efficiency” and for you to realize the savings from your investment into high-efficiency appliances. As HPAC magazine reports, the average 1970s air duct system is no match for today’s high-efficiency heating and cooling units! In fact, the average useful life of a ductwork system is anywhere from 10 to 15 years. After that time has elapsed, you can expect an air duct inspection to yield signs of leaky seals, insulation loss, sagging or loose ducts and, often, that old classic “Ductopus” (the Ductopus describes a ductwork system that looks like an octopus tangled up in its own arms). What Happens When You Have an HVAC-to-Air-Duct Mismatch? You simply won’t realize the savings from your new high-efficiency equipment. 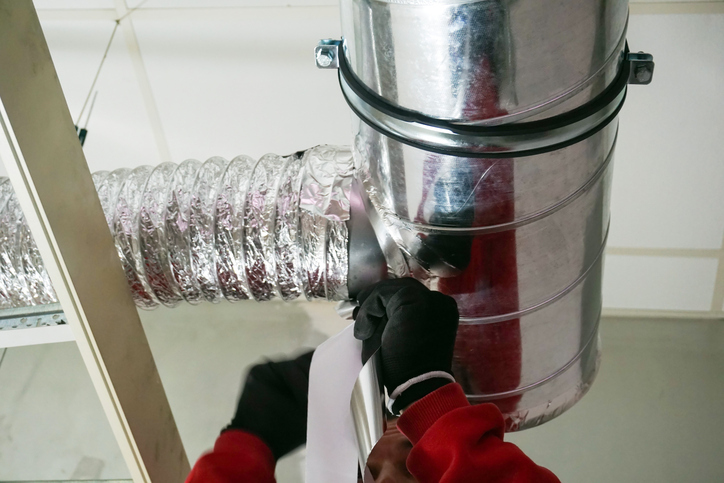 Your ductwork will begin to leak air to the outside or into attics or crawl spaces. You will be paying to cool and heat unoccupied interior areas or the great outdoors! You may experience uneven cooling and heating in different areas of your home. Your monthly utility bills for heating and cooling will continue to increase. Your indoor air may become contaminated from outside air or air leaking in from attics or crawl spaces (called “backdrafting,” this can admit seriously toxic combustion gases into your central air supply). Do You Have to Replace Your Whole Duct System? No one loves to hear that their air duct system needs extensive renovations or, worse, replacement. But it is also no fun to learn that up to 30 percent of the temperature-controlled air you are paying for is getting lost due to leaky seals, tears or holes in your ductwork or poorly connected ductwork. In some cases, it may be advisable as well as cheaper in the long-term to simply replace your duct system, especially if you are planning to remain in your current home or business location for the foreseeable future. But if your plans for the future remain open or you aren’t in a position to take on a full replacement job, there are definitely other options! In fact, it is often quite possible to make repairs to parts of your duct system and then, if need be, replace just a few duct sections that have major integrity flaws. At this point, it probably won’t surprise you to learn that when we peer inside an older existing duct system, we often find lots of surprises! What we don’t tend to find is a squeaky-clean, pristine duct channel. Over the years (and we have nearly a century to date under our belts as a family HVAC business! ), we have found some pretty interesting things inside people’s duct systems! But the most common finds include dust, dirt, pet hair and dander, insects, mildew, mould, rodent droppings, spider webs, beetle skeletons and similar offerings. This is usually the point at which our clients get very interested in scheduling a professional air duct cleaning! We recommend saving the professional air duct cleaning service for last, after all necessary and recommended air duct system repairs have been completed. This will leave you with a clean, robust air duct system that can handle your new high-efficiency HVAC components! Send a Kid to Camp—On Us! Give us a call at 905-549-4616 to find out how your purchase of a new A/C, furnace, boiler or combo could send a deserving child to summer camp!